The day has come! From this 1st of December, our WP CAMP water polo campuses for 2019 have opened registrations. In our seventh year, and with 18 campuses organized with more than 800 entries, we consolidated our camps in Encamp (Andorra), Leioa (The Basque Country), Malaga and Banyoles (Catalonia). Thanks to the trust of players and families, the WP CAMP project reaches its seventh year of life. And we do it enjoying. Hence our campaign this year: ENJOY. A word that perfectly defines our philosophy, mission and values. In 2019, our five water polo campuses are consolidated in their facilities last season. More than 250 players in our Easter and summer camps last year confirm us as the leaders in Spain. And the challenge is to continue improving the project thanks to our great team of professionals. The first campus of the year will be the WP CAMP SNOW in Easter in Andorra. Our original facilities in Encamp is maintained for five days of water polo and snow sports. This year with the novelty of the return to the spectacular ski resort of Grandvalira for the fun day. In July, the WP CAMP SURF will reach its fifth edition in Askartza (Bilbao). Water polo, surfing and new activities will be the protagonists in a camp that last year had to close registrations ahead of time. 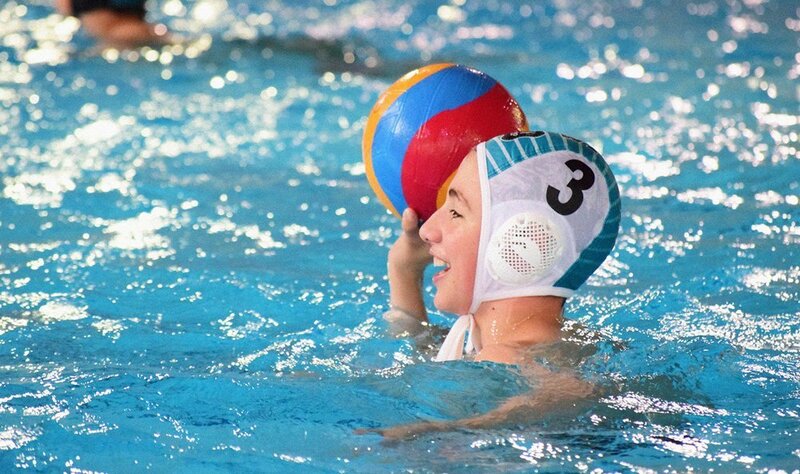 A success for the reference water polo campus in the North Zone of Spain. We will continue with the second WP CAMP BEACH in Málaga, which changes its dates this year. From July 7th to 13th, we will be Andalusia to enjoy the sun, the beach and the best water polo. The second half of July is reserved to the WP CAMP XTRM and the WP CAMP KIDS. Our most crowded campuses have already opened to players from all over the world and promise to keep growing this year. Training in the fantastic Lake Banyoles (very close to Barcelona) or enjoying its fun leisure activities will be some of the attractions of our most veteran campuses. And in the line of continuing to be camps open to all the public, in this year we maintain the rates in all our water polo campuses. And in the case of the WP CAMP BEACH in Málaga, the price is considerably reduced. In this same line, we continue to offer discounts on inscriptions for interns: 15 € for former participants, 20 € for a second brother on the same campus and 25 € for groups of 5 or more players from the same Club in a single shift.